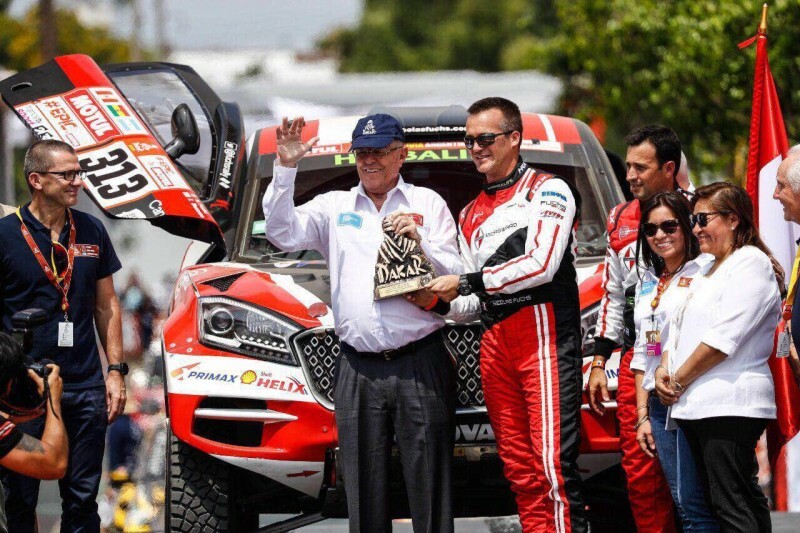 Peruvian team pilot Nicolas Fuchs and Argentinian Fernando Mussano powered the Borgward Rally Team to land 3rd place, revealing the sporting strength of Borgward’s German automotive intelligence and agility during the first stage of the 2018 Dakar Rally from Lima to Pisco in Peru. 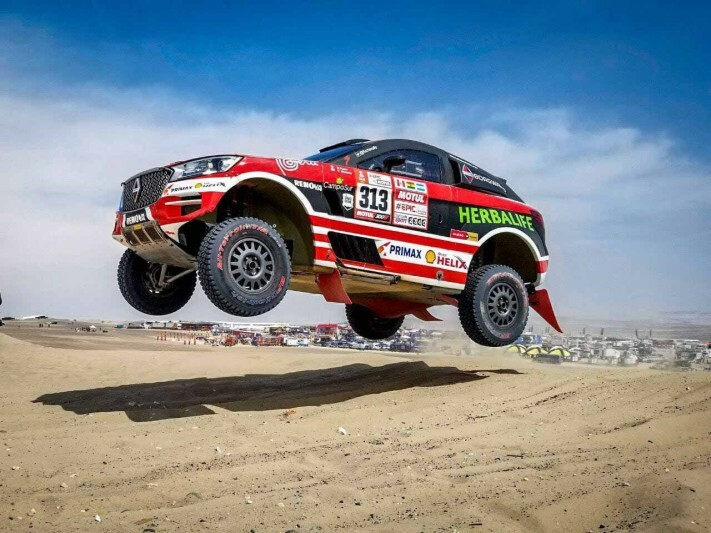 The annual motorsport rally is holding its 40th edition in Latin America – crossing three countries – which started in Lima, Peru, all the way to Bolivia, and finishing off in Cordoba, Argentina. The Peruvian and Argentinian duo took the edge early in the race under the number 313 in the T1 category, the ultimate test of speed and technique between man and machine. The Latin duo debuted in the 2017 edition and landed 12th place, a feat for the rookies which took up the challenge this year to drive the BX7 DKR prototype of Borgward’s luxury crossover SUV. Borgward has ended its many years of hiatus from the automotive world and marked its return to Latin America with its partnership with the World Rally Championship-2 (WRC-2) acer Fuchs. 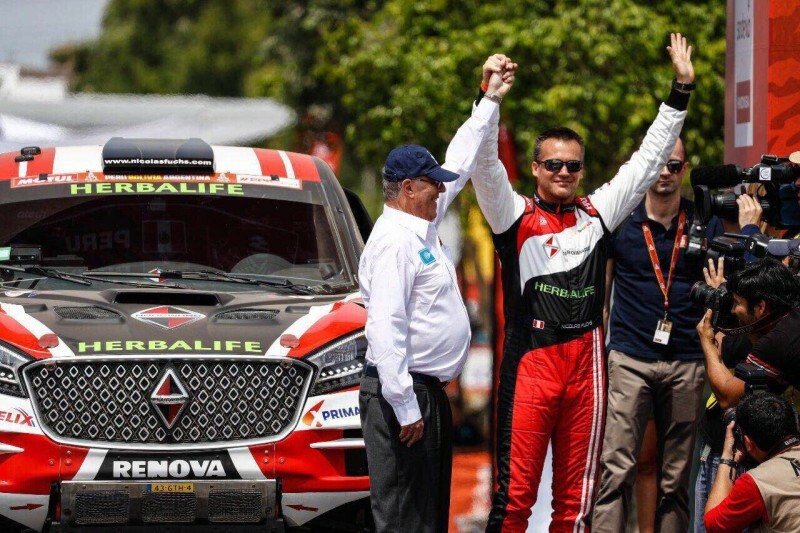 Peru’s most successful rally driver aims to become the first to win the Dakar Rally with Borgward, a car brand that is part of Fuchs’ family history, being one of the first owners of BGW’s Isabella Combi in Peru in the 1960s. between 1950 to 1958 and were touted as part of “The Heroic Duo” with Porsche during the period. The German automaker has developed its latest models BX5 and BX7 with the highest quality engineering and automotive intelligence that resonates a global brand’s value and luxury. Nicolas Fuchs is Peru’s most successful rally car driver and a title holder of the Production Cup within the WRC 2 category in 2013, and won second in 2014 in Argentina. He also finished second in 2015 in Mexico. The Dakar Rally is the world’s most challenging off-road rally known for its adrenaline-pumping action organized by Amaury Sport Organization annually since 1978. The event is being since 2009 in South America. BORGWARD Group AG is a German-based international automotive manufacturer with a strong history. In the late 1950s, Borgward was the third largest German car manufacturer, selling more than one million vehicles and leading the sales statistics in the German premium segment. Today, Borgward adheres to the same principles of manufacturing high-class vehicles for motorists across the globe that founder Carl F.W. Borgward established. Borgward vehicles in the 21stcentury stand for elegant and dynamic design, German engineering quality and technical innovation, with a strong focus on connectivity and future propulsion systems. Since its relaunch in 2015, Borgward has introduced two models, an elegant and sophisticated mid-size SUV (BX7) and a dynamic and energetic compact SUV (BX5). The company plans to launch at least one new model per year in the upcoming years, thereby gradually expanding its vehicle line-up. With the introduction of an all-electric mid-size SUV (BXi7), planned for 2019, Borgward will underline its aspiration to become a leading global e-vehicle manufacturer.